The fourth largest island in the Hawaiian chain, Kauai tops popular charts of the best vacation places in the USA and the whole world. Widely acclaimed as “The Garden Island”, this tropical destination is a dream come true for anybody looking for a laid-back, relaxed time-off. Soak up the sun on a beach, ride a bike, or go for a hike accompanied by breath-taking vistas, explore small towns of the island, or venture to awe-striking waterfalls – the choices are all yours. However, to reap full benefits of the time spent on the island, make sure to check top 20 things to know about Kauai to prepare for the best vacation. With a little preparation in advance, you will feel at home on the Garden Island and be able to avoid some inconvenient and unpleasant situations. 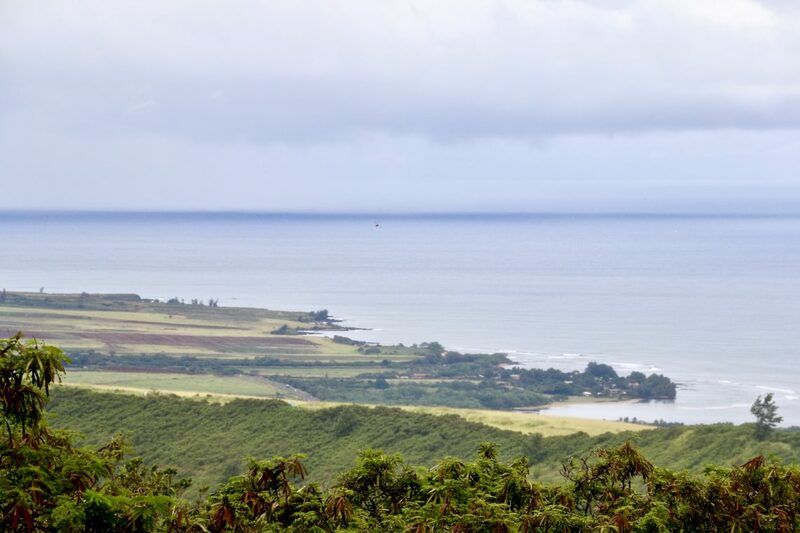 Giving in to impassable rainforest and gigantic mountains, the majority of the islanders settle on the shore, occupying roughly 25% of the territory of Kauai. Consequently, the remaining 75% of the island belongs to a forbidden kingdom of exotic Hawaiian living creatures, completely inaccessible by foot. With such statistical data, you can hardly argue about the island claiming its spot among the best vacation destinations in the world. However, the sandy beaches do not automatically imply the abundance of swimming area. 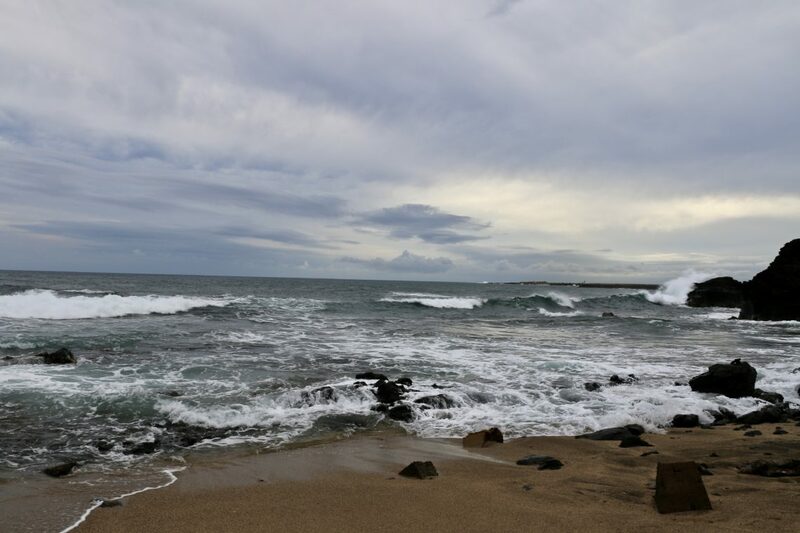 For example, dominated by deadly surfs, strong currents, and dangerous riptides, most of the north shore including such places as the Queen’s Bath are out of the questions in the colder months. Kauai is one of a few places on earth that can boast the perfect vacation weather. With the average temperature ranging from 75 to 85 degrees Fahrenheit, this Hawaiian island allures the vacationers from all over the world at any time and season. The island might have some swimming issues, however, the ocean temperature completely compensates for such troubles. Thus perfect for professional surfers, scuba divers, and amateur swimmers alike, the temperature barely goes beyond 60 and exceeds 80 degrees Fahrenheit. Located in the heart of Kauai, Mount Waialeale is considered the second wettest place in the world. With the sky dropping its rainy tears 365 days of the year, Kauai is indeed one of the rainiest places on earth surpassed only by Mawsynram, a small village in northeastern India. 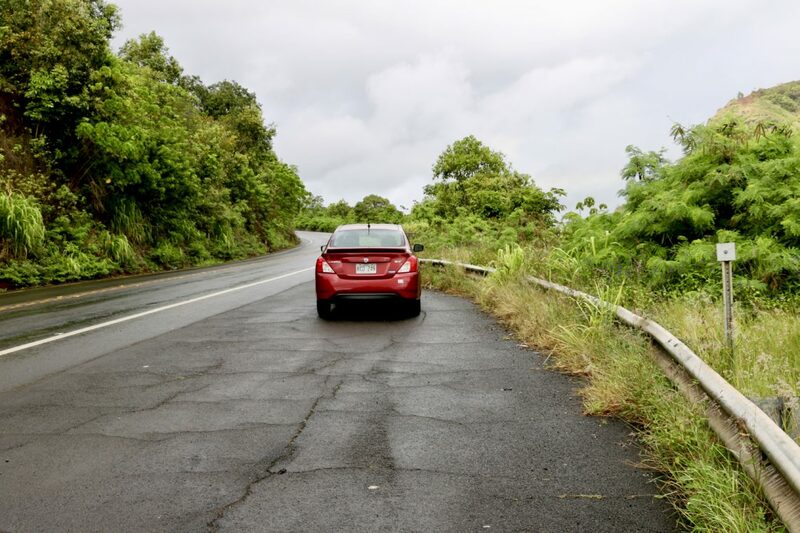 Even though the island is pretty small, you will need a car in order to get around and find Kauai’s spectacular sights and hidden treasures. 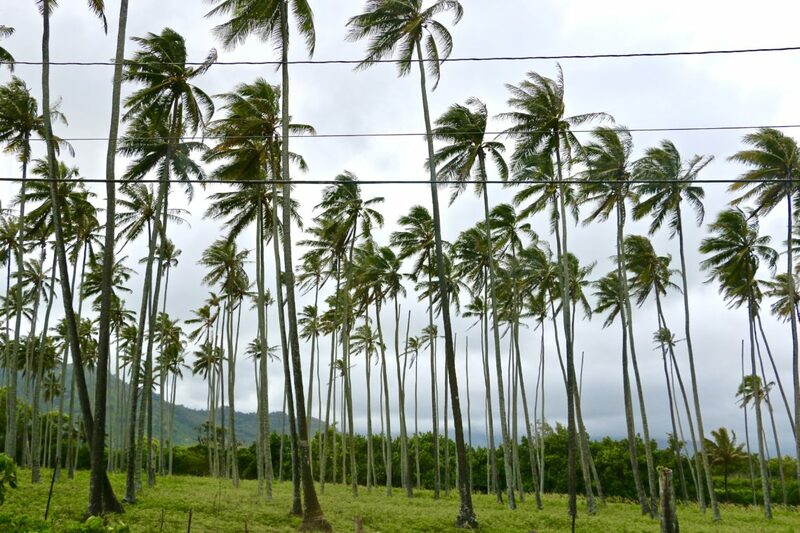 On that note, an important thing to know about Kauai to prepare for your best vacation is a fact that there is no road connection between northern and southern parts of the island. As a result, such pristine, yet inaccessible by car areas as the Na Pali coastline and Waimea Canyon are better to be conquered by foot. Still, succumbing to the convenience and speed of the car, you can use the only major road, shaped in the form of the letter “U”, and explore the island along its both branches. To get a better picture, starting from Lihue (the capital city), it takes approximately one hour to get to the end of each side of the road. Technically speaking, it is not exactly a rule but rather a custom and respect toward other fellow-drivers. The main road on the north shore of the island has a few one-lane bridges. Typically, you let a small batch of cars consisting of approximately five to seven automobiles go one way at a time. If you are happened to end up outside of this batch, stop and let the cars on the opposite side pass by before resuming your driving. The reigning queen of simplicity and countryside lifestyle, Kauai lacks all demands for glamorous clothes and expensive jewelry. Keep it easy and casual. Therefore, t-shirt, flip-flops, and a good pair of shorts will serve you well pretty much everywhere on the island. This applies to everything. Which might not come as a big surprise, considering that almost everything has to be shipped in. So despite the fact that Kauai is still a territory of the USA, the prices here are much higher compared to other states. On the bright side, the Garden Island has plenty of bargain stores to keep your travels within your budget. 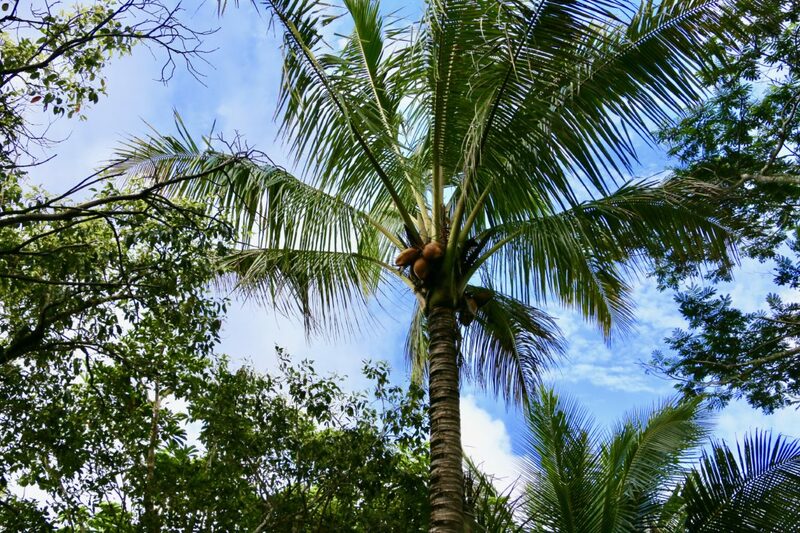 You are in Hawaii for goodness sake, one the best places to grow tropical fruits. And no, you do not always have to pay for them here. The rule is simple: you see the fruit, pick it, and eat it. However, I have a simple word of advice for you, make sure you do not trespass a private property and thus not steal the fruits. The rule is simple: you see a fruit or nut, pick it, and eat it. Not exactly a talk about the tropical fruits as the subheading suggests, but definitely worth mentioning here. When in Kauai, forget about difficulties related to finding the best food options for your dietary restrictions. Exploring such options as Hawaiian barbecue, Tai and Indian cuisines, big names or run-from-the-house small restaurant with variety of vegetarian and vegan option, you will not stay hungry here, for sure. 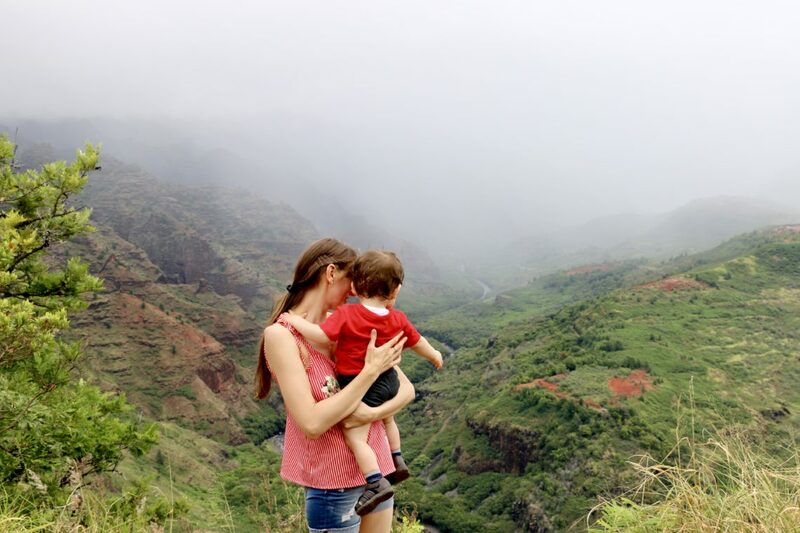 I simply cannot move to our next top thing on our top 20 things to know about Kauai to prepare for your best vacation without giving praise to The Greenery Café. A family operated restaurant in the center of Lihue is a real gourmand paradise. Their signature fish and chicken wraps, hummus and kale salads, coconut-ginger mug bean soup, avocado wrap (my favorite), smoothies and juices – and remember everything is organic – are out of this world. You will not be able to resist the temptation. However, no good things can go without a single downside. Since only a handful of people work at the restaurant, which popularity increases exponentially, the wait time might be long. (We had to wait for almost an hour for our orders.) The best way to avoid such inconveniences is to order beforehand over the phone. By the time you reach The Greenery Café, your food will be ready for you to pick up. You may take it out or indulge in it in the backyard of the restaurant. Not as glamorous as you might think for this tropical area… But yes, the Nene Goose is the official bird of the state of Hawaii with Kauai having their largest protected population. 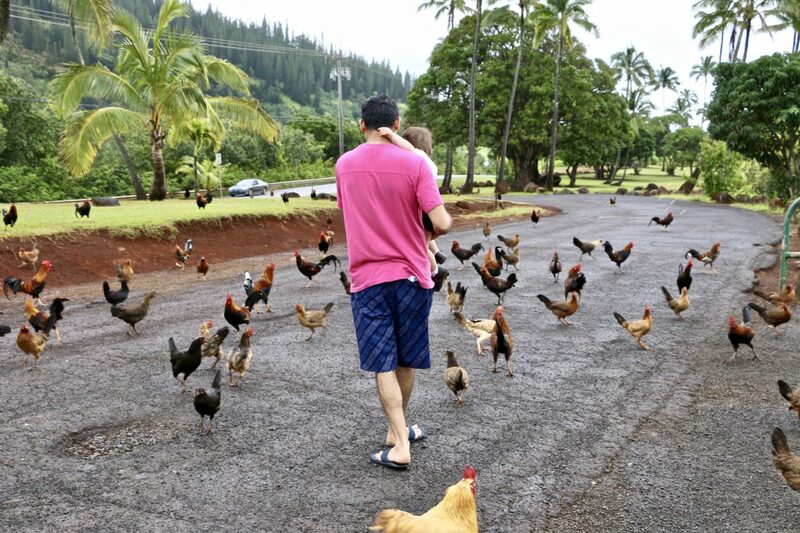 Chicken is an unofficial bird of Kauai. Wild pigs create big disturbances for farmers and their crops. In fact, they are considered the island’s second most popular inhabitants, after the chickens, of course. 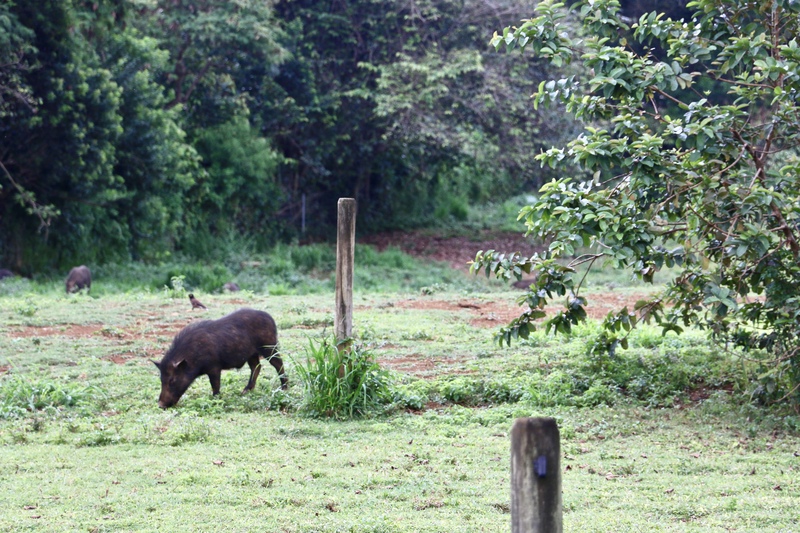 Running wild, the feral pigs are blessing and curse of Kauai. On one hand, hunted and used as food, the pigs, on the other hand, create big disturbances for farmers and their crops. 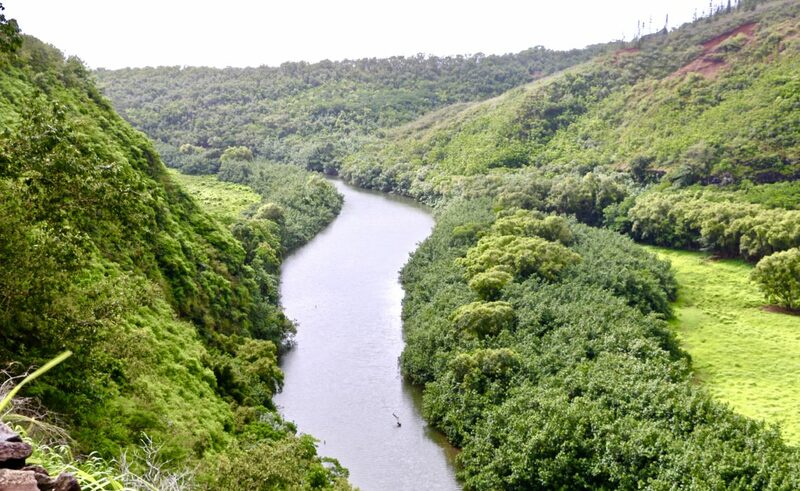 As we mentioned earlier, Kauai is known for its simple, almost countryside lifestyle. As a result, no big cities, extravagant resorts or theme parks occupy the territory of the island. Instead, practically all the land is devoted to agriculture and conservation. Taste Paradise. One cup as a time. Yes, please! Even if you are, like myself, not a big coffee drinker, can you try to say “no” to a cup of freshly roasted organic Kauai coffee before beginning your personalized walking tour through the coffee trees of the largest plantation in the country? I do not think it is humanly possible! Once visited, Kauai stays close to your heart forever. Even the mighty Hollywood agrees with me on that. And as a proof of its love toward Kauai, the biggest filmmaker presents to the world such classics as Jurassic Park, Pirates of the Caribbean, Indiana Jones, 6 Days 7 Nights, The Descendants and many more movies, all of them filmed on this paradise-island. Kauai is one of the Hollywood’s favorite movie-shooting locations. …And neither in the whole state of Hawaii. No daylight savings time – and thereby no hassle and unexpected effects on the human body. With 13 letters, compared to 26 letters of the English alphabet, native Hawaiians had hard time naming places and things. In order to communicate and keep themselves safe from outside dangers, they had to get creative with those few letters. Often, they gave the same or a very similar name, distinguished by one letter, to two completely different things. The only way the natives later recognized the meaning of the word was by using it in a context. Each of these top 20 things to know about Kauai offers you insides and little secrets and helps make your upcoming island vacation a trip that will stay with you for years to come. So with a little preparation beforehand, Kauai will far surpass your wildest dreams and high expectations!